No, we’re not referring to our Site Operations Manager, Richard, with the headline, but his role in awarding the British Lop Pig of the Year recently. 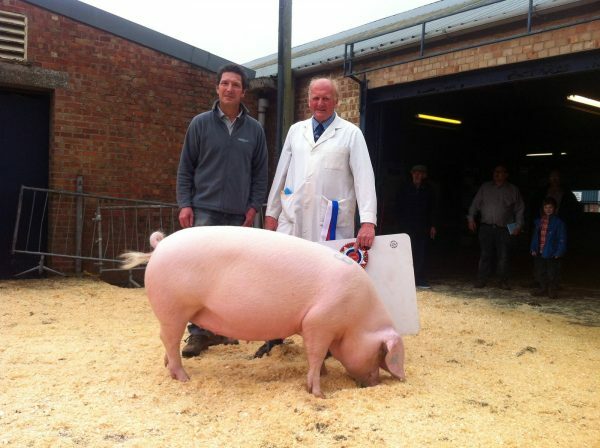 Sacrewell was proud to sponsor the competition this year, through the British Lop Pig Society, and Richard represented us at the prize giving in Melton Mowbray recently. Giles Eustice took home the prize for Reserve Lop Of The Year with Bezurrell Supreme 11. British Lop Pigs are a rare breed close to our hearts at Sacrewell. Ada, our sow, is a British Lop and we’ve successfully raised a few litters of piglets through our links with the Goosetree Herd. A full report can be read on the British Lop Pig Society website.